While Tehran is known as one of the most populated cities in the world, there are a number of places to visit in this city. For instance, historical houses, beautiful palaces, national museums, and of course the Grand Bazaar of Tehran. Most of these monuments are located at the center of Tehran, where it is believed to be the historical part of the city. 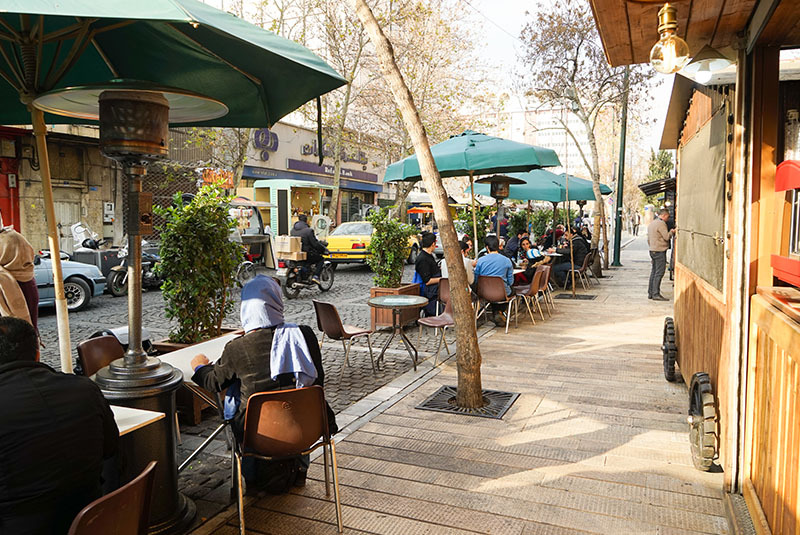 Among all places to visit, 30 Tir Street, where the National Museum, Glassware and Ceramic Museum of Iran, and one of the oldest restaurants in Tehran is located, is a must-see. In addition, 30 Tir Street, the crossroad of religious in Tehran is home to a number of religious monuments, such as a synagogue, a Zoroastrian fire temple, a church, and a mosque. Here, we are going to introduce each of these four religious sites, so stay with us to know more about all these places. To start visiting all these sites, you can start with the Jewish synagogue at the crossroad of Iraj Alley, near the British Embassy in Tehran. The monument was built during the Qajar Dynasty when Ahmad Shah was the king in 1913, and it is one of the oldest synagogues in Tehran. During the time of World War II, the Haim Synagogue hosted Polish Jewish refugees. The increase of Polish Jewish refugees in 1940 resulted in the establishment of a new Ashkenazi synagogue, the Danial Synagogue, next to the Haim Synagogue. In the 1950s, the Haim Synagogue was used as a refugee camp by fugitive Iraqi Jews, who immigrated to Israel via Iran, as part of Operation Ezra and Nehemiah. Currently, the synagogue is only open on the occasions of Shabbat and the High Holy Days, due mainly to emigration and decline in membership. 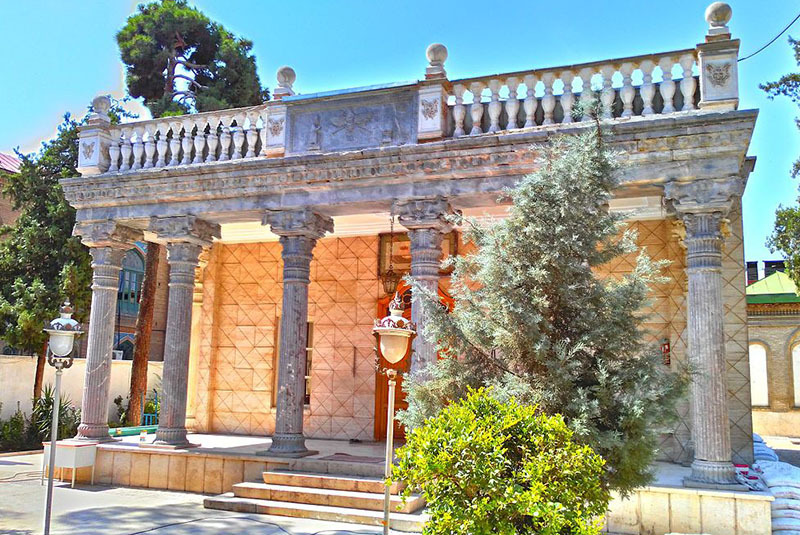 The second monument to visit is the beautiful Zoroastrian fire temple in the middle of a garden. The Adrian or Adrian Fire Temple was constructed in 1916, during the Qajar Era with the help of Iranian Zoroastrian living in India, financially. The fire at the place was brought from Atashkadeh Bahram in Yazd, which is believed that the fire had burned for more than 1,500 years. This is the only fire temple in Tehran that is open to the public. The architecture of the building is very similar to Atashkadeh Barham, with the same pull in front of the building. Outside of the building was made in the form of old Mansion but inside there is a simple room with a fire burning in it. On the right side of the fire temple is Firooz Bahram School which is for Zoroastrian students, and not open to the public. Just across the Adrian Fire Temple is the St Mary Church, which was built due to the rise of the number of Armenian refugees after the Armenian Genocide in the Ottoman Empire and the loss of their homelands. 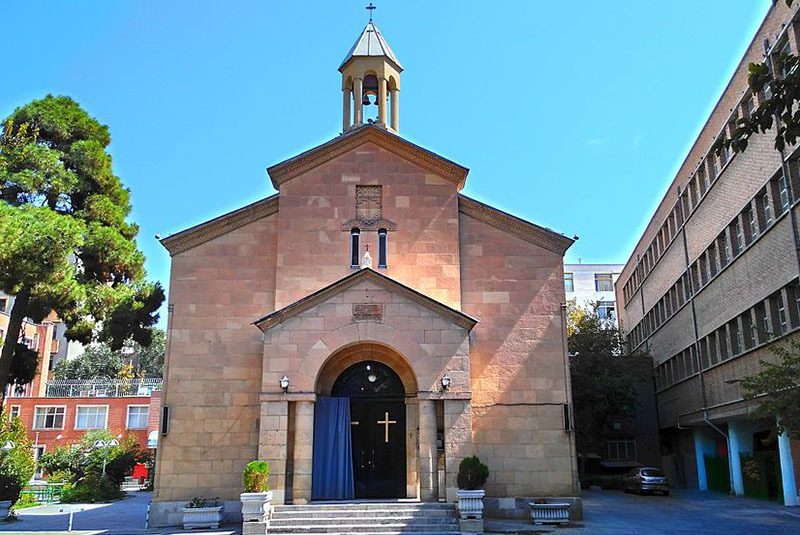 In 1938, the construction of the church starts and with the participation of a large number of Armenians and clergy of the churches in Tehran, it was completed in 1945 by Karekin I, Catholicos of Cilicia. From 1945 to 1960, it was the main office and residence of the Archbishop of the Armenians, which was later transferred to the new Saint Sarkis Cathedral completed in 1970. On 13 February 2002, the church was registered by the Cultural Heritage and Tourism Organization of Iran as a national monument, with the registration number 7237. The original church plan has not been preserved, but obviously, the architects of the church were inspired by the architecture of Armenian churches from the seventh and tenth centuries. The Church of Mary, which is built out of grey stone basalt stone, has a size of 32.5 m × 19.8 m and occupies an area of about 550 square meters. Like other Armenian churches, it has the form of a cross and its sanctuary is located on the east. The church has two domes, a larger and a smaller one. The main dome is influenced by Byzantine architecture. The main entrance of the church is on the western side. There are a number of beautiful mosques in every corner of Iran. However, this small mosque is unique not due to its architecture or beauty but because of its location where there are monuments of different religious constructed near each other. The Ibrahim Church was built almost 70 years ago, during the Second Pahlavi Era. A combination of Iranian and Islamic architecture has been used in the construction of this beautiful building. It is only open during prayer time, so you can have a visit to the place.